Sometimes, reactions surprise you. Our stylish window changes within our Kenilworth office have been really well received and comments from one customer in particular were fascinating. She was looking at an attractive “South Coventry” property we were marketing for a Kenilworth resident. “This is great, my children can’t afford to buy in Kenilworth so I’ll send them your way!”. This was unexpected to say the least. I hadn’t even thought of that market at all. 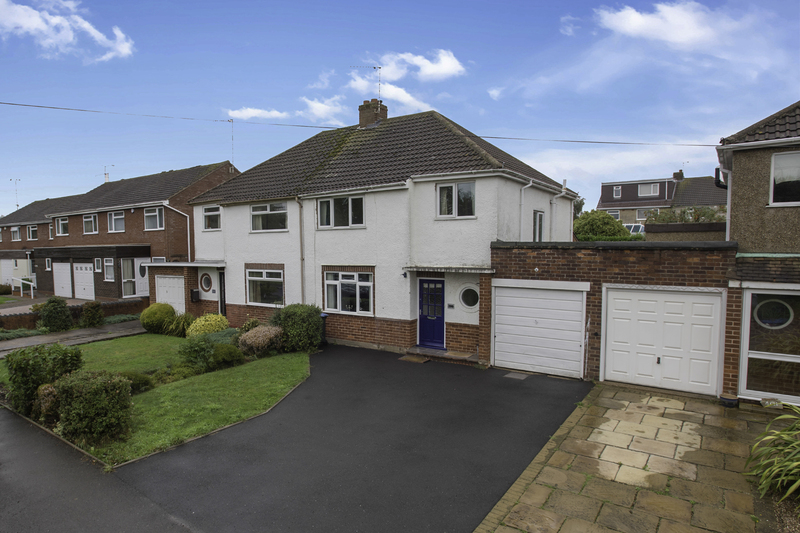 Residents of Kenilworth have children (and by children I’m talking 21 – 40 years old here!) 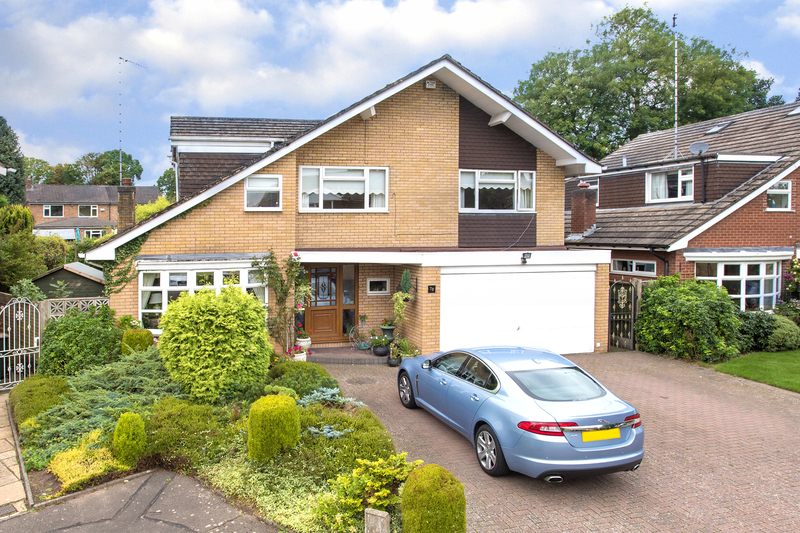 who can’t often afford to buy in Kenilworth. That’s why advertising the occasional South Coventry gem in the Kenilworth branch can be so effective. It works and people are so interested. This is a fascinating market in itself because on the face of it quite honestly the prices in Earlsdon and Kenilworth are surprisingly similar. A three to four bedroom period terrace in both towns are often comparable. The advantages of one over the other though are completely subjective. Christmas, Boxing Day & New Years Day! 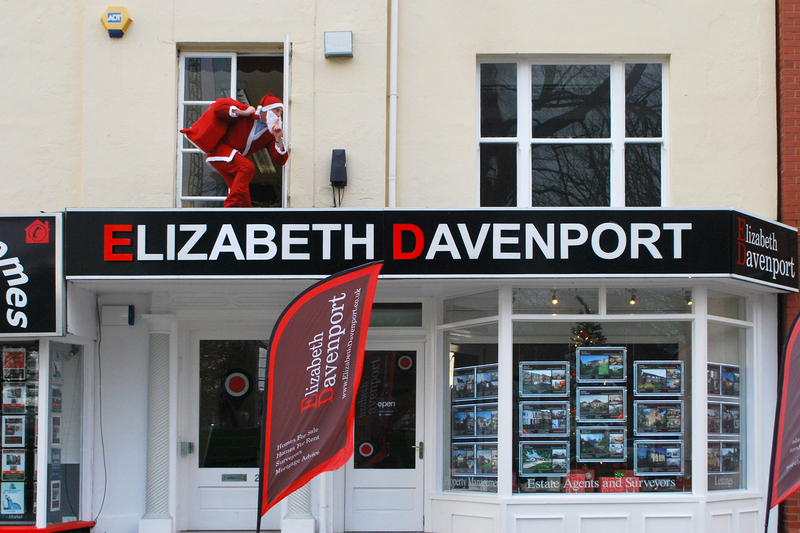 Do We Really Look At Houses Over The Festive Period? Whether you can believe it or not some of the most recent statistics released from Rightmove have revealed some really surprising and unusual activities over our Christmas holiday’s! I’m not talking about “Pie Face” or “Charades” here, I’m simply talking about online property views. 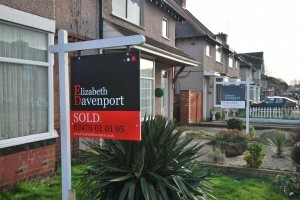 Rightmove reports show a whopping increase of over 20% activity levels between Christmas and the New Year. The last published statistics revealed that on On Christmas Day there were nearly 14 million page views and over 10,000 people took time out from the festivities to send emails to agents. On Boxing Day it gets traditionally busier, with page views jumping to over 25 million. Views peak on New Year’s Day, with an average of over 38 million page views (This is no doubt due to many being unable to even step out of their armchairs!). What does this really tell us? Well, unarguably it shows that when we have time, we use it. Christmas and more specifically the New Year, with the hopes and ambitions it promises (who can’t fail to at least have hopes and ambitions for the year ahead whether realised or not! ), is time for prediction and planning. Physical viewings are not so common, but planning ahead and looking at what’s available, can be the spark that lights the fire. Having your property on the market over the Christmas period doesn’t mean that Mr and Mrs Smith are going to disrupt your Figgie Pudding and Brandy Snaps. It means simply that they will likely plan to visit your house after Christmas. Seeing your home for sale may persuade them to sell their own property and enable them to move forwards. Yours could be the property that instigates those decisions. And more importantly, yours could be the property they buy as well. There are plenty of times in your life when friends and family tell you exactly what you want to hear. “Did I do well at my School Play Dad?”, I asked nervously, “Of course you did Son, well done”. I was a Barn Door (better than a sheep though!). We’re already ten minutes late and my wife says “Are you sure this looks OK?”…….I think you know where this conversation is heading! So if you want to buy a house for £350,000 and you need to sell yours for £270,000 to make this possible please don’t tell the Estate Agent. If you do, you know what will likely happen. The agent will know there is little chance of an instruction without persuading you that your house is genuinely worth, you’ve guessed it, in the region of £270,000. At Elizabeth Davenport we know that the right advice and what you want to hear are often two different beasts. What we do know is that in order to attract the most interest and at the highest price possible you certainly don’t need to start marketing unrealistically high. It just doesn’t work. Rightmove statistics have shown that since 1st January 2016 we have reduced a lower percentage of our properties than any other agent in Coventry and Kenilworth. 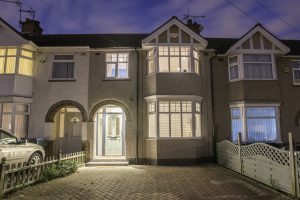 As the very bespoke nature of property alludes, we can’t always get it right but we certainly won’t advice you of the impossible just to win your instruction. Beware of listening only to what you want to hear! I’m not talking about my wife now ( I made that bit up!). 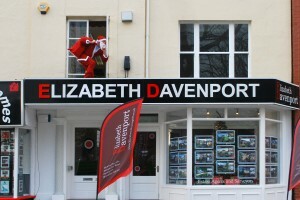 Kenilworth School plan to conquer all comers in Canada next year with thanks to Elizabeth Davenport Estate Agents. 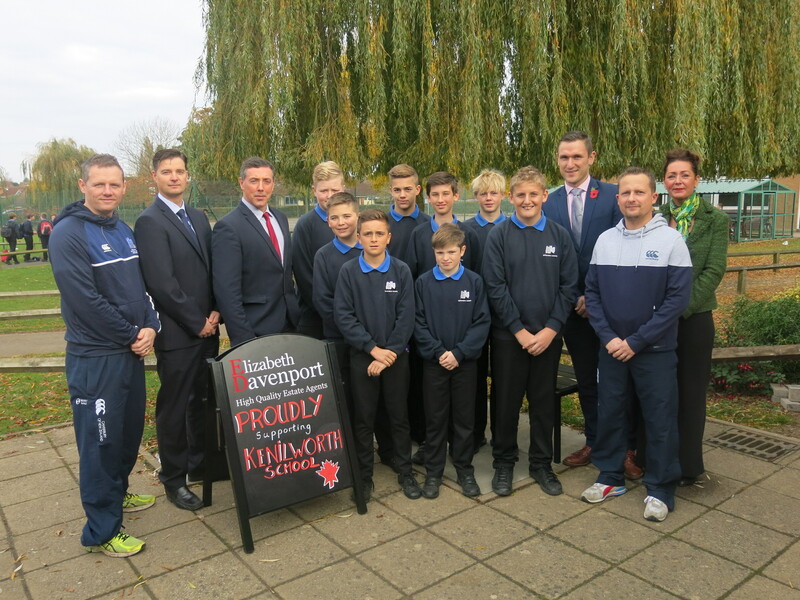 April’s expedition is the biggest single Rugby and Football tour that Kenilworth’s only secondary school has ever undertaken. With a total of 56 children, many partaking in both disciplines, the need for parental and sponsored support is paramount. 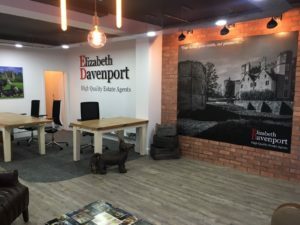 Two of the Directors of Elizabeth Davenport have a particular affinity for the School with Mark Walmsley having a daughter in Year 8 and Nick Luntley being a former pupil himself. 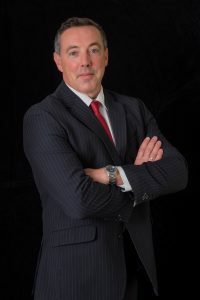 “Having played and toured with both Rugby and Football for Kenilworth School, Mark and I approached George very quickly when we heard about the opportunity to purchase all of the sports kits for the pupils forthcoming trip to Canada” Nick commented. Year 8’s football team have been very successful and sit currently as district league and cup champions whilst the Year 9 Rugby team are undefeated and have won the prestigious Solihull School Rugby 7’s tournament. “As Kenilworth’s only Secondary School and with the kids genuinely achieving so much success at both Rugby and Football at the moment raising the money for the tour is a massive ask. Pupils and staff are undertaking all kinds of fundraisers to support this trip of a lifetime and any support we can offer we are delighted to do so” Mark Walmsley said. “We’ve got a lasting relationship with Kenilworth School now” stated Mark Walmsley. “Nick’s been working with Dave Peacey who used to teach him which is really full circle, and obviously my daughter’s a pupil now too. There will be opportunities for Netball, Athletics and Dancing events too so if we can give the support then we certainly will”. With children at Finham Park School Elizabeth Davenport have also been supporting the local PTA with donations from completions sold in the Finham area. Every house sold by way of an introduction from parents or relatives at the school will see at £100 donation to this worthwhile cause. Now Is The Right Time!! There is No Such Thing as a Wrong Season to Sell! Just The Wrong Light Bulbs! Some people say there is no wrong weather, only wrong clothes. I don’t know about this. I really don’t like the dark evenings or the dark mornings. I don’t like mud stained carpets either! Autumn has always been a popular time to place your home on the market for sale. With the onset of the new season we’d like to present a few exciting tricks and treats (get it!?) 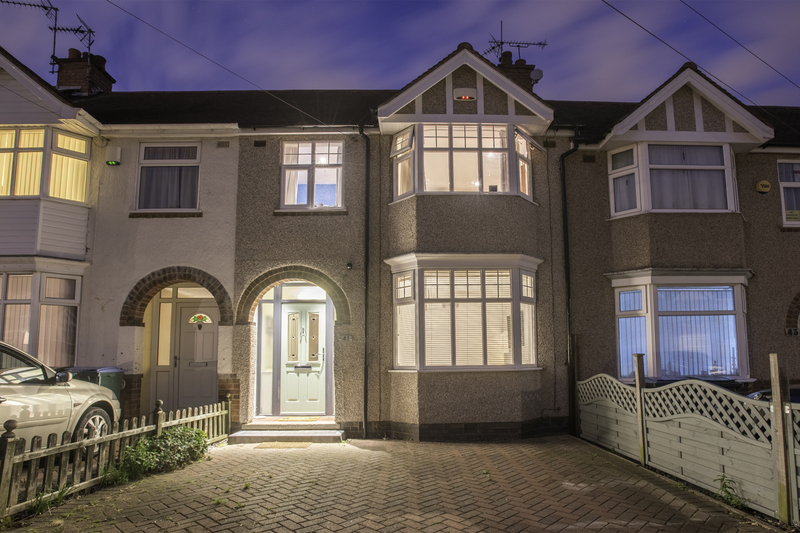 that can be implemented to make your house attractive for buyers as the nights draw in. I used to have friends who had a very neutrally decorated home but contrasting soft furnishings for Summer, Autumn and Winter. The grey and blue Rugs, Scatter Cushions and the throws would all be replaced by oranges and browns and although it seemed such a hassle, the effect was executed perfectly. Don’t neglect your Gardens and your frontages either. Everyone can say “My Garden looks great in the Spring and Summer” but if in Autumn your Garden is clean and tidy, cut back, dead headed and presentable you don’t need pretty flowers. Just make it look cared for. Remember if the competition hasn’t bothered then you’re one step ahead already! Think about your lighting. In the Summer, natural light is the order of the day. Properties with bright and airy rooms draw the most attention. Now, in the Autumn and Winter, we can do cosy and warm. Uplighters, Lamps and fireplaces are welcome but let’s make sure that your floorings, having suffered Summer long abuse with inside out living, have been steam cleaned or mopped ready for the new season. We’ve got some real tricks up our sleeves for stunning dusk and night photography as well so don’t be put off! There are lots of buyers who need to be resettled for Christmas and the New Year and we’d be delighted to help you find them. Selling and Buying property is an ever changing game. The last few years have seen monumental changes to the way that people search for suitable properties to purchase. With much of the initial searching being done online, buyers can search for their next home or investment from the comfort of their armchair or whilst sitting on a train or perhaps even while at work (heaven forbid!). Just a few years ago the property information would have come in the form of a long winded and tediously long description of the house or apartment in question, with paragraph after paragraph about fixtures and fittings, kitchen worktops and glazing descriptions. Nowadays of course, these boring write-ups are all but forgotten and have been replaced with high quality photographs and detailed floor-plans, especially from the higher quality estate agents. The one thing that remains the same is when the buyer actually goes to view the property in person. Modern gadgetry at this point is irrelevant and all that matters then is for the estate agents to show skill and understanding of the buyers’ requirements and help them in making the correct decision. And if the property they are viewing is not suitable, a skilled agent will be able to suggest a suitable alternative. That’s where we come in. Our viewing representatives have years of experience and will help to get your property sold for the maximum possible value. They also work on Sundays, unlike the majority of Estate Agents, meaning greater flexibility and more sales agreed for you, our customers.